Marmalade. 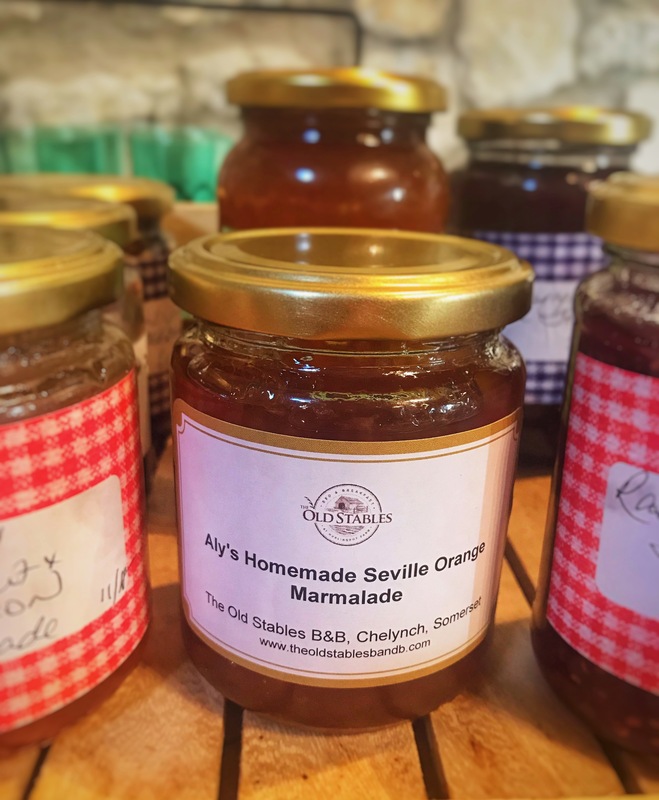 The story goes that marmalade was invented in 1700 when a storm-damaged Spanish ship, carrying Seville oranges, sought refuge in Dundee Harbour. The cargo was sold off cheaply to James Keiller, a down-on-his-luck local merchant, whose wife turned it into a preserve. True? No one really knows but we do know that the Keillers of Dundee, James and his mother Janet, were very important in the popularisation of marmalade and are thought to have been amongst the first commercial producers of marmalade, and certainly the most well known. For the first half of the 19th century their brand of Dundee Marmalade, available affordably to the working classes, was extremely popular and was the forerunner of today’s best-selling brands. Here we all were, basking in the February sunshine, it was gorgeous. The warmest February on record in fact! Alas, we were being teased by Mother Nature and we have returned to winter but that doesn’t mean that it’s not a great time to visit Somerset. 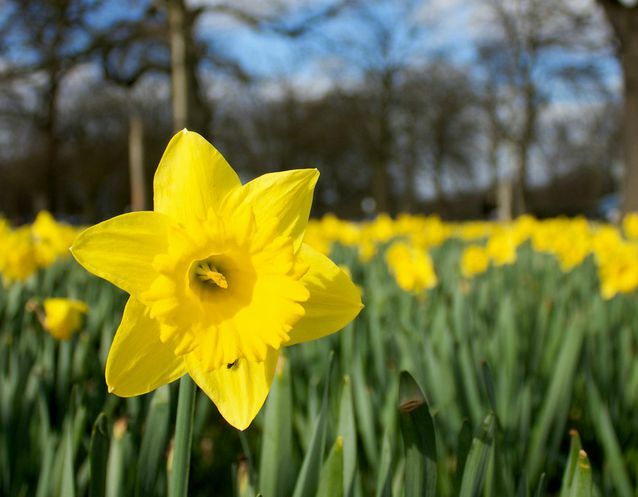 Here’s some ideas on what to do during your visit to Somerset in March. We all have someone in our lives who is impossible to buy for (for me, that’s my Dad!) They have everything they could possibly want, and when asked, say that they don’t want anything for Christmas! Well, I’ve got a solution for you. 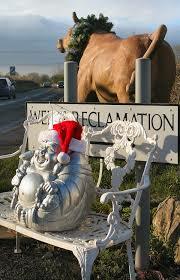 Here in Somerset we have a huge number of brilliant antique shops, flea markets, and reclamation yards. There’s nothing better than having a poke around these treasure troves, and you are sure to find something unique for that special someone. One of our favourites is Wells Reclamation. We actually got some pieces for the bed and breakfast after having a good rifle through their collection. If you have £80,000 lying about (we wish we did! ), you can actually buy a T34 Russian Tank, believed to have been built in 1944. A little more affordable are statues of the Greenman (a pagan symbol of rebirth), kitchen accessories, and vintage and antique furniture. Their collection of statues is also quite a sight to behold! 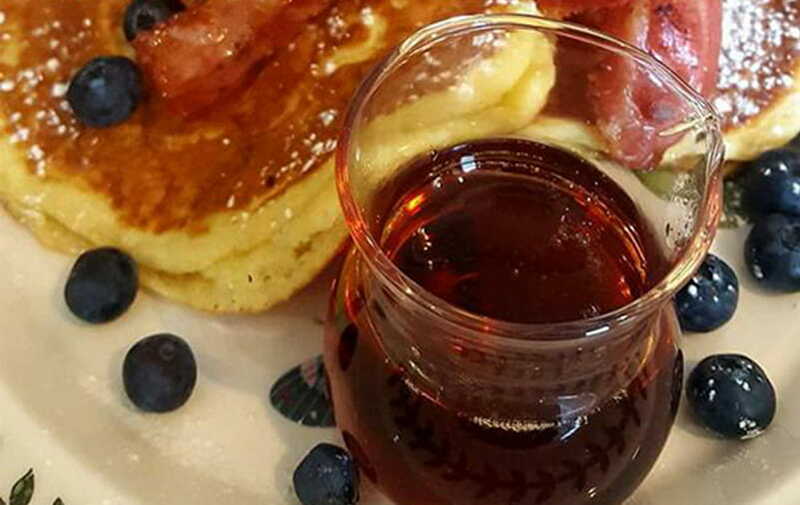 A stone’s throw away from the bed and breakfast is the Bath and West Showground, which periodically hosts antiques and collectors fairs and giant flea markets throughout the year. Over 250 stalls, both inside and outside, have everything – from jewellery to books to fabrics. And retro furniture, of course! Even better, the Showground is dog friendly, though you must keep your dog on a leash. Keep an eye on the Royal Bath & West Showground website for upcoming dates. Another of our go-to spots is the Antiques Bazaar in Crewkerne. Filled with helpful, friendly staff, we love to visit to look through the piles of antique furniture, signs, and esoterica. They offer a bespoke kitchen table service and furniture restoration. The home bakery (great tea cakes!) and plant centre at the Antiques Bazaar are also worth a visit. Last but certainly not least, in Shepton Mallet you will find Somerset Antiques & Interiors. Just down the road from the bed and breakfast, this antiques store has something for every room of the house. Again, they’ve got someone for everyone! Want a vintage matchstick doll’s house? Or Victorian oak panel carvings? They’ve got one! Also, if you are looking for a very particular item, they offer a service where they can source and locate it for you. How helpful is that! If Vintage is more of your interest, Shepton has a lovely variety of independently owned vintage shops up and down the high street. Browse and buy to your heart’s content – it’s a lovely way to spend a couple of hours and there’s plenty of restorative tea, coffee and goodies on offer at The Cheeky Bean Cafe, The Art Bank Cafe or Loaf. We personally love the antique and vintage shops and stalls on offer in Somerset. You never know what you’ll find! The days are getting colder, the fireplace has been lit, and boxes of decorations are slowly being brought down from the loft. This means one thing at The Old Stables – Christmas is coming! 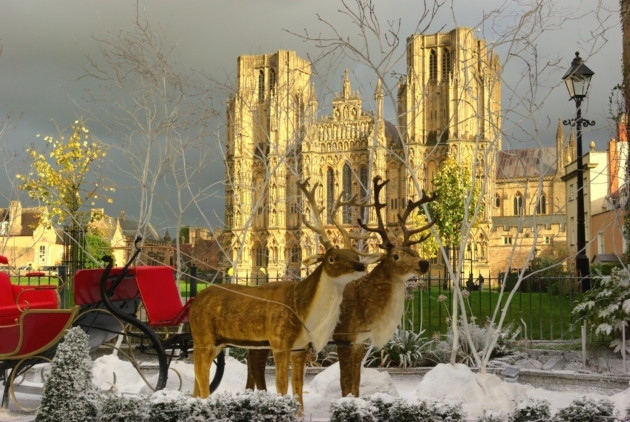 There are so many festive things to do in Somerset over the holiday period and every year Somerset pulls out the stops to create twinkling Christmas wonderlands. Here are some of our personal favourites. 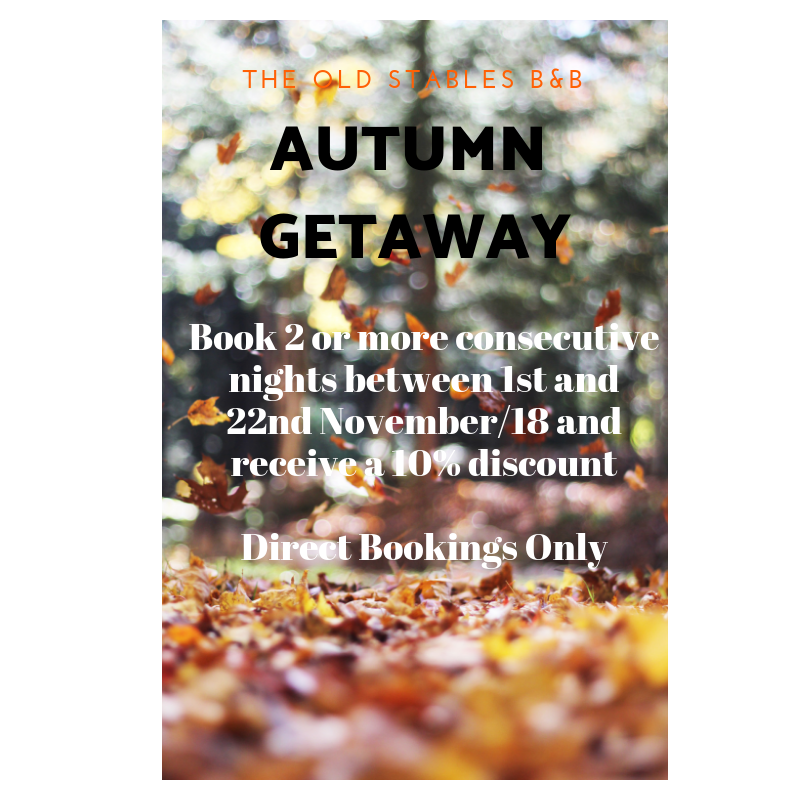 Autumn Offer is on from 1st November at The Old Stables! It’s a lovely time to get away and enjoy the cooler temperatures, the beautiful Autumn sunshine and the turning colours of the leaves. There’s lots going on in Somerset for you to get out and enjoy from National Trust properties to shopping to walking to enjoying the famous Somerset Carnival mid-month (to name but a few)! Book with us directly via our website or email us on info@theoldstablesbandb.com or phone us on 01749 880635. One of the best things to do as the nights grow darker and longer is to snuggle up under a blanket with a new book. We’ve always been a family of readers, and so when the 2018 Wells Festival of Literature was announced, I knew that I had to let you know all about it. 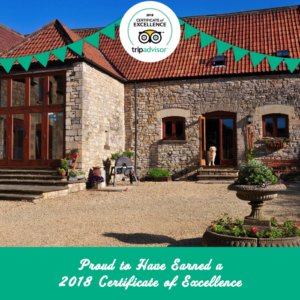 Another Trip Advisor Certificate of Excellence! Thank you all for your lovely reviews. We really do appreciate each and every one! Proud to be recognised by Trip Advisor for another year. One of the best things about a B&B stay is having a great pub within a quick drive or walking distance. 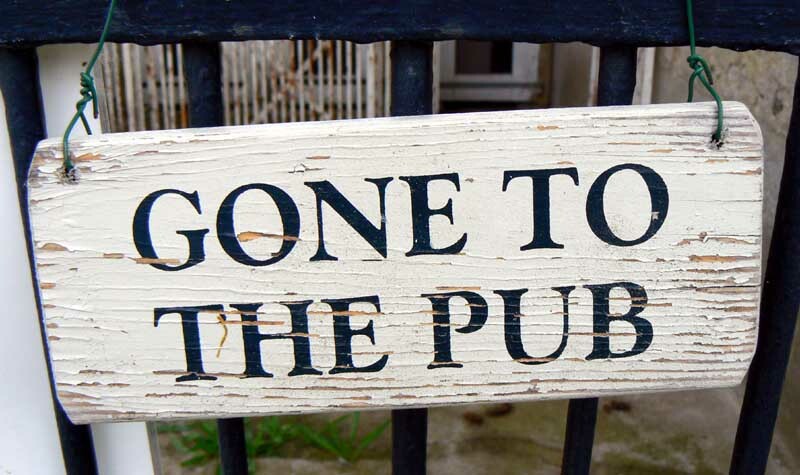 We are lucky to have two such fabulous pubs on our doorstep and we wanted to tell you a little bit about them both. Literally! 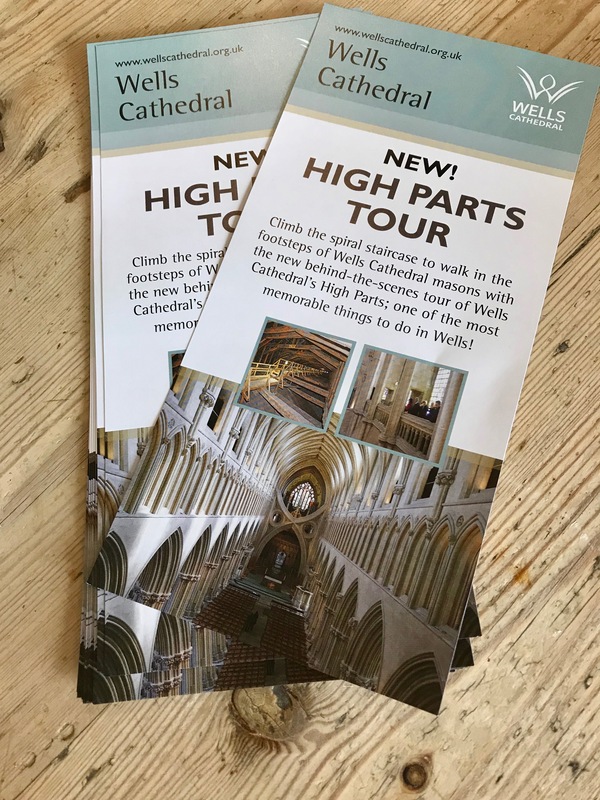 We reached great heights earlier this week when we were invited by Wells Cathedral to trial their new “High Parts” tour.